The IJSBA is pleased to support the media by offering special access at the 2018 Blowsion World Finals. Media members should apply for credentials by clicking the links below. The IJSBA will have a special press tent which has a great viewing area of the race course. Media Members may go in the controlled race areas with permission of the IJSBA. Special permission may be granted to go up into the officials’ tower. Permission to go in the controlled race areas and officials’ tower will be given on a case by case basis. Please note that only legitimate news media are allowed to film, photograph, digitally record, make audio recordings of, or otherwise reproduce portions of the 2018 Blowsion World Finals. The organization, presentation, course design, layout, and entire program are the copyright of IJSBA. 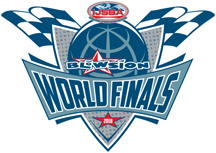 The IJSBA retains all intellectual properties, including, but not limited to trademarks, trade dress, right of publicity, and copyrights, of the 2018 Blowsion World Finals. The IJSBA expressly prohibits any commercial recordings or reproductions of the organized event outside of a bona fide news reporting agent or service. No media person may reproduce any video image, still image, or audio recording of the event by means CD, DVD, VHS, JPEG, internet broadcast, QuickTime clip, I Podcast, or any other medium known or unknown without the express written permission of the IJSBA. Legitimate News Media is defined as a provider of event coverage through a publication that is primarily intended as a news and information source. This definition includes: newspaper, sports magazine, television news station, radio news crew, dedicated sports or PWC website, and PWC news publication. Any video recordings must be authorized by the IJSBA in writing. Persons found making visual motion recordings whether digital, film, analog videotape, or other medium without the proper approved credentials are subject to have their equipment confiscated. Please understand that the IJSBA cannot allow unauthorized video reproductions of any kind. The reasoning behind this is not limited to protecting the IJSBA’s interest in being the sole owner of broadcasting in DVD rights. The IJSBA competitors sign an agreement allowing the IJSBA to reproduce their likeness for promotional purposes. Unauthorized reproduction infringes upon the rights of publicity of the competitors. By having too many reproductions, the competitor’s ability to capitalize off of their likeness and display of skills becomes diluted. For these reasons the IJSBA will rigorously enforce the intellectual property rights of the IJSBA and the IJSBA competitors. ABSOLUTELY NO DRONES, QUADCOPTERS, OR ANY OTHER FLYING DEVICES ARE ALLOWED. Pit passes and parking passes do not automatically come with media credentials. Parking passes and pit passes are for sale at the registration trailer. Media Credentials are available starting Tuesday, October 2, 2018.